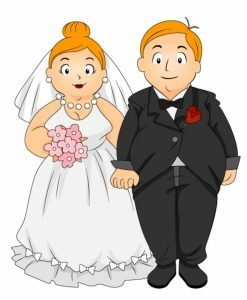 Weight Loss for Brides, or Grooms…. Specialist pre-wedding weight loss for brides at the Elite Clinic in Spain. Weight Loss for Brides and Grooms is becoming more and more in demand. The ever-growing demand placed upon us to lose weight and maintain a million-dollar, celebrity-resembling body, is relentless, whether you are planning your big day, or maybe just considering the next beach holiday. However, few would argue that the pressure is certainly piqued for those who find themselves in the wedding planning phase of their lives. In fact, weight loss for brides has never been so in demand. Bridal Weight Loss and Wedding Weight Loss Plan are two of the top searches in the sector on global search engines. It seems that a Pre Wedding Weight Loss Plan or Wedding Weight Loss Program is at the top of many brides lists of things they must do ahead of the big day. 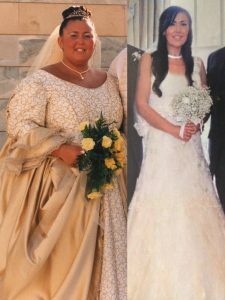 The absolute determination by many women to lose weight ahead of their wedding day is incredible. Obtaining accurate details of just how many brides make the decision is almost impossible, however a Cornell University study a few years ago concluded that more than 70% of brides were trying to lose an average of 20 pounds ahead of the big day! A UK website puts the number at a more conservative 40%, but either way it is still an awfully large number of women striving to achieve the elusive ‘Body Beautiful’! Having said that, the number of Grooms going down the same path of the pre-wedding diet, is now growing exponentially. Bridal Weight Loss and Pre Wedding Weight Loss Plan it seems is almost as important as finding the venue for the big day. The pressure from social media and society in general to look good, and maintain a healthy weight is ever growing, but it seems that, for many, looking their absolute best on their wedding day, when standing before their many friends and family, is paramount. And maybe it is understandable: the financial costs of a wedding, the fact that the photos will be in pride of place in the home for years to come, plus, of course, the dreams of looking slim on the beach during the honeymoon, all serve to ‘up the ante’. How to Lose weight for Wedding. Wedding Weight Loss Program – Some brides-to-be, of course, just want, or need, to shed a few pounds, and drop a clothes size; for others, the situation is a little more demanding, needing to lose many stones in weight. Some brides are just searching for a Wedding Weight Loss Program, that works others often leave it late, contacting us saying “Need to Lose Weight for Wedding in 6 months, can you help”. The answer of course depends on just how much weight they want to lose, we are good at what we do, but not miracle workers, a realistic Pre Wedding Weight Loss Program, starting well ahead of the big day is always desirable. 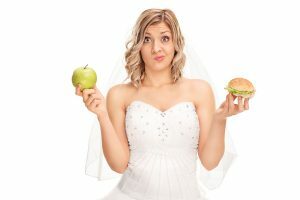 Weight Loss for Brides: do you eat the apple or go for the burger? The situation is not helped by the never-ending images of size eight models in bridal magazines, parading themselves in the latest gowns, or the often repeated stories of wedding dress stores only stocking sample wedding dresses no larger than a size 12. All of this, of course, only places even more pressure on the soon to be bride. Weight loss for brides becomes absolutely vital in the whole process! So how to lose weight for wedding. It is often said that nothing inspires a woman to knuckle down and undertake a weight loss regime more than an engagement ring. After all, it’s a once in a lifetime event! Why shouldn’t you look your best? Plus, of course, all eyes will be on you, and you alone. So, how to lose weight for wedding, and achieve that ultimate Bridal Weight Loss. To be truthful, having spoken to dozens of brides, some along with their grooms to be, who have visited our clinic, many openly confirm that weight loss is as important a stage of wedding planning as choosing the venue, and working through the guest list. They often crave a simple Wedding Weight Loss Plan, that will just melt away the excess weight, over night, whilst they sleep…If Only. The number one problem we experience at our dedicated Weight Loss clinic here in Southern Spain, now often referred to as the ‘Go To’ destination for brides-to-be wishing to lose weight, is that many leave it very late in the planning stage, sadly sometimes to late. Bridal Weight loss is best undertaken slowly: everyone would like to drop X number of clothes sizes overnight, but in reality…. Extreme measures, and quick-fix, drastic weight-loss solutions seldom produce the desired long-term effect; in fact, many actually deliver the complete opposite results to those dreamed of. This is exactly the reason why any bride-to-be who is unhappy with her weight should seriously consider an option which will offer them a chance to maintain their weight loss for life. After all, there must be nothing more soul-destroying than shedding your excess weight specially to get married, only to start piling the pounds straight back on again before you’ve even come back from your honeymoon! Ideally every bride wants to be slim and trim, not only for her big day, but also for the rest of her life with her partner. That way they can both look forward to spending many happy and healthy years together! So How to Lose Weight for your Wedding and hoping that you do not want to lose half your body weight as in the request “Lose Weight for Wedding in 6 Months”, as many clients tell us on the phone. Well being here in Southern Spain, enjoying the amazing weather at a dedicated Weight Loss Center is as good a place as any to achieving your dream Bridal Weight Loss, let us help you, like hundreds of others to achieve what we believe is your birthright, that is for you to be the size and weight that you desire. Don’t believe this? Read Sarah’s story here. Martin and Marion Shirran, the developers, and trademark owners of the Gastric Mind Band® Treatment now spend the majority of their time as joint Clinical Directors at their Elite Clinic in Spain working with clients from around the world, but now often it is with Weight Loss for Brides, Mothers, Siblings and Bridesmaids alike, all keen to achieve that Body Beautiful. Sarah Hart, from Cardiff, can address the million-dollar question: does their Gastric Mind Band treatment actually work? Sarah arrived for her first visit to the Elite Clinic feeling in utter despair: every time she looked at her wedding photographs, she was reminded how she’d had to squeeze into a size 24 dress. After completing the Gastric Mind Band Therapy, Sarah went on to lose half her body weight! Read her own story here. She recently got married for the second time, and looked absolutely stunning, wearing her dream size 10 wedding dress! Take a look at the photo on the left, and see the difference for yourself! Sarah is pictured on both her first and second wedding days. Sarah’s amazing weight-loss story was told in the media and on TV around the world: you can read Sarah’s story in the Daily Mail here. Following Sarah’s story in the media, a UK-based journalist interested in weight loss, Claudia Connell of the Daily Mail, travelled to the clinic to check it out for herself, and for the readers of the Daily Mail. Two weeks later, she wrote a two-page feature detailing her treatment that literally got the world talking, and resulted in clients flying to Spain from around the world. 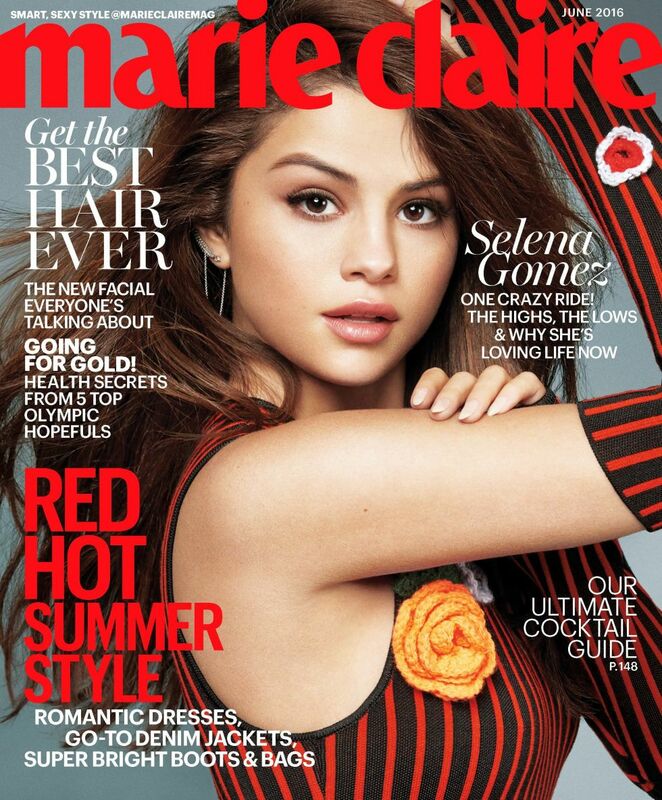 Read her article from the Daily Mail Newspaper here. We look forward to maybe seeing you at our clinic, near Marbella! One final point…The reason that potential brides are, without doubt, our most successful clients, is because, at that moment in their lives, they have the one thing that is vital to a successful outcome: that, of course, is overflowing levels of motivation! If you are seriously interested in losing weight ahead of the big day, regardless of it being a few pounds, or ten stones, then you should seriously investigate the Gastric Mind Band procedure, which has attracted so much media interest around the world. The therapy has become something of a phenomenon on both sides of the Atlantic, developing into the treatment of choice by members of the public and celebrities alike. Gastric Mind Band clients benefit from ten years of research and development that went into the GMB method. Martin and Marion have now built up more than eight thousand one-to-one clinical hours, working with people who fly to the clinic from around the world, each determined to achieve their ideal body weight. At the end of the GMB treatment, each client leaves the clinic with his or her own set of carefully prepared tools; most are completely unique to the GMB, including a very extensive manual, and a set of digitally produced hypnosis / audio sessions. Back to that bottle of Champagne Chilling on the balcony at the clinic that we mentioned earlier, every bride booking the VIP package, will experience exactly that, a truly 5 start treatment from the moment you walk in the door. One final point, each and every Bride to be, booking the VIP treatment is guaranteed to be treated exclusively by the treatment developers Martin and Marion Shirran. Of course the treatment options are not limited to the VIP package, visit the Appointments page for a list of the options available. You can book your treatment to day with a small deposit. That will be one thing less to worry about, ‘the problem transfers from you to us, in a heartbeat’. At the GMB clinic, we are totally committed to client follow-up, so you can be assured that the support certainly does not stop when you walk out of the clinics door. Ongoing telephone and Skype follow up is standard in the weeks months following your treatment. We are proud that we offer the most thorough proven answer to those wanting to escape from the roller-coaster world of yo-yo dieting, in order to establish a permanent solution to their weight problems. So how do you start on the route to a new you? Well, you basically have three options. The treatment is delivered during four one-to-one sessions; the total treatment time is around sixteen hours. In addition of course, Martin and Marion continue to undertake a small number of private home visits Internationally to complete the treatment, see further info below. El Oceano Beach Hotel: our favourite, and that of many visiting clients too. The Elite Clinic is non residential, however we are of course more than happy to help and advise clients regarding the booking of hotel accommodation, which ranges from budget to six star beach side boutique accommodation. 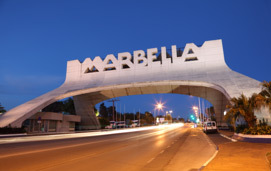 With 54 flights a day from UK regional airports into Malaga and with transfers from the airport by taxi being only twenty minutes your visit to the clinic is guaranteed to be stress free. Additional information on flights, hotels etc can be found on the FAQ section of the site.